One PCIe 6+2 Pin connector for mid-range graphic cards. 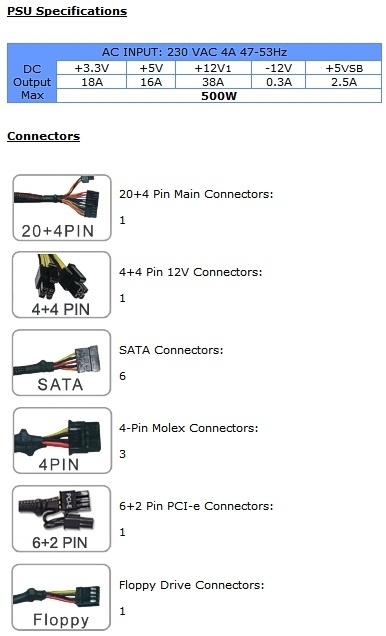 Up to 6 Sata connectors supports a multiple of hard drives. Please Note - This PSU was designed for Non-Industrial desktop systems according to Intel’s Desktop Platform Form Factors. Usage outside of these parameters, including cryptocurrency mining, might cause overheating, malfunction, or damage to your equipment and will void your warranty.